Skin cancer, both of the melanoma and non-melanoma varieties, are by far one of the most pressing issues that Australians face every year. Between 2013 and 2014, for example, there were 23,437 hospitalisations in the country that were specifically related to melanoma. In 2014, there were over 40,179 and 959,243 Medicare benefits claims paid out for melanoma and non-melanoma skin cancers, respectively. A huge number of different factors go into determining your risk for developing skin cancer including your family history, your lifestyle, and even the climate itself. Because of this, it is absolutely imperative that you know what to watch out for. This allows you to take action on a small problem today before it becomes a much bigger one later on. Case in point: Did you know that you can actually feel some of the warning signs of certain types of skin cancers? It’s true — and your ability to know what to look for and where to monitor may very well be the piece of knowledge that actually saves your life. First thing’s first — no, you cannot feel skin cancer, at least not in the same way you would a stomach ache or something like that. What you can feel, however, are some of the warning signs and symptoms that skin cancer might bring with it like itchiness, burning, and so on. These signs will vary depending on the area of your body that is affected. This is why it is always important to get to know your own skin as well as you can. One of the most common types of skin cancer in Australia is basal cell skin cancer, something that makes up an astounding 70% of all non-melanoma skin cancers each year. Also commonly referred to as BCC, this will actually begin in the lower layer of the epidermis (which is the topmost portion of your skin). It can appear absolutely anywhere on your body, and it brings with it a number of warning signs you need to be aware of. Commonly, BCC will first appear in the form of a lump somewhere on an area of your skin that gets a lot of sun exposure. It can be shiny, pink, pearly, translucent, or even waxy. Likewise, it can also take the form of a red or scaly patch. Regardless of which form it takes or where it happens to appear, it is very likely that the affected areas will get even more irritated in the sunlight so pay attention very carefully. Luckily, basal cell carcinoma tends to grow very slowly (at least when compared to other types of skin cancer) and doesn’t usually spread to other parts of the body. Also commonly referred to as SCC, squamous cell carcinoma accounts for the remaining 30% of all non-melanoma skin cancers in Australia. Once again, it begins in the upper layer of the epidermis and typically appears on the parts of your body that see the most exposure to the sun. Unlike BCC, SCC cells can grow very quickly — sometimes over only a few months or even weeks. Affected sites on your body will typically include your lower legs, your forearms, your hands, your head, and even your neck. Be on the lookout for a firm, pink-coloured lump that has either a crusty or a rough surface. Note that this area will likely be very tender and can bleed quite easily. This is one of the most immediate signs that you need to see a professional for proper detection and treatment. Finally, we arrive at melanoma — certainly not the most common type of skin cancer in Australia, but absolutely the most deadly. In 2014, for example, there were 13,134 new cases of melanoma in the country, making up an incredible 10% of all cancer diagnoses. 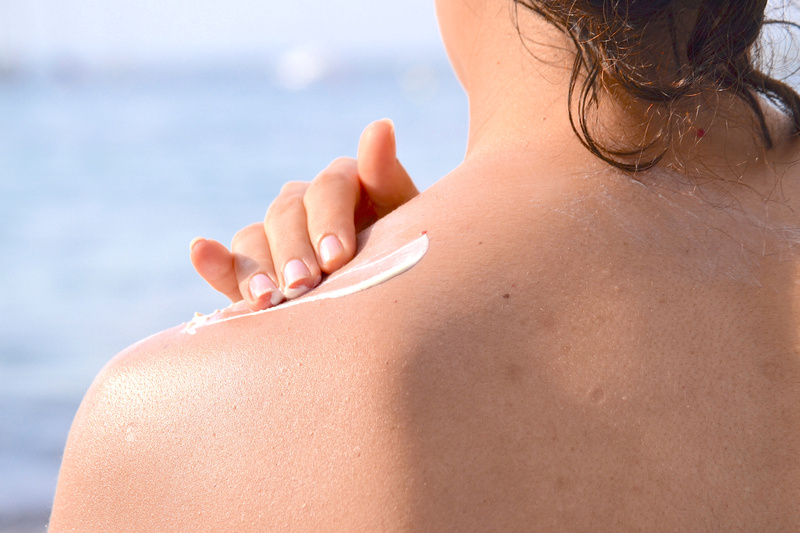 The very next year, in 2015, there were over 1,500 deaths directly attributed to this particular form of skin cancer. Unfortunately, melanoma often has no symptoms — at least, not obvious ones. Because of this, it is very uncommon for there to be some type of warning sign that you can actually “feel.” Usually, melanoma develops from totally new moles or takes the form of changes to old ones. If a mole appears to get bigger over time, if it has an irregular border or an increase in height, if it changes colours and becomes blotchy or is particularly prone to itching or bleeding, you may be dealing with melanoma, and you should get yourself to a doctor right away. In an age where two-thirds of the Australian population will be diagnosed with some form of skin cancer by the time they reach age 70, to say that accurate detection is important is something of an understatement. This is, in part, the need that MoleMap was designed to fill. It is an invaluable service for you to spot skin cancer in its earliest and most treatable stages. If you’d like to find out more about the warning signs and other symptoms of skin cancer, or if you have any other questions you’d like to see answered, please don’t hesitate to contact us today. You can also visit our website and fill out our risk assessment calculator. Begin to take back control of your own health right away.